All 17 Jos. A. Bank promo codes have been verified and tested today! Ready to save even more at Jos. A. Bank? If you’re a regular shopper, and a code is not enough, you'll want to join the Bank Account Rewards Program. In addition, you’ll get other benefits like a faster checkout process, the ability to create a wish list, and the ability to save past clothing sizes, to help you pick out the right size for you while shopping online. If you regularly wear suits and dress pants for work, travel, or in your day-to-day life, TravelerCrease alterations from Jos. A. Bank may be a good investment. This service is available at all Jos. A. Bank stores. It’s an alteration to your pants that will place a permanent crease in the fabric, which will stay sharp during travel, and during washing, dry cleaning, and normal wear and tear. The TravelerCrease is guaranteed to last for the rest of the life of the garment, and this service costs $10. If you are having issues with pants that become uncreased with age, this service may be ideal for you. Want to get an exclusive Jos. A. Bank coupon code? You can get a special offer by signing up for text alerts and SMS messaging from Jos. A. Bank at its website. SIGN UP FOR TEXTS AND GET AN EXCLUSIVE OFFER!” message. Enter your phone number and press “SIGN UP.” Your offer will be delivered to your phone momentarily. You don't only want a Jos. A. Bank coupon code, you want free shipping too? The best way to get free shipping is by joining the Bank Account Rewards program. You’ll get free shipping on all of your orders. Don’t want to join? You can also get free ground shipping on your order if you spend over $50. Make sure you’ve spent at least $50, and you can choose standard shipping at checkout to avoid delivery charges. Overstocked, out of season, and otherwise discounted merchandise is always on sale at Jos. A. Bank. If you want to save big, you’ll want to shop sale & clearance. To do so, just head to the Jos. A. Bank website, and select “SALE” from the upper navigation bar. You’ll be able to browse all sale and clearance deals, and choose between different product categories, such as shoes, sport coats, suits, and more. Found a Jos. A. Bank promo code you’d like to use? Here’s what you’ll need to do to redeem it online, and maximize your savings. That’s all there is to it. So find a coupon to use on CNN Coupons now, head to Jos. A. Bank, and start shopping today. Need to return a pair of shoes? Did that shirt not fit quite right? Changed your mind about a suit? Returns at Jos. A. Bank are easy. You can return your order within 90 days of your purchase, as long as your items are in original condition and complete with packaging and tags. To start a return, simply sign into your Jos. A. Bank account, and select the items you wish to return to print a return label. Package the items up and place the return label on the box, and drop your package off at any FedEx location. $7.00 will be deducted from your refund for this service. Alternatively, you can return any online order to the nearest Jos. A. Bank store. Simply bring in your order slip, and provide your name, phone number, and address. To get special updates, promotions and even an exclusive Jos. A. 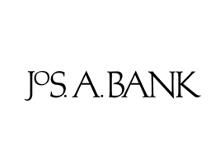 Bank coupon, you’ll want to join the Jos. A. Bank Mailing List. You’ll be eligible for a variety of promotions, including special discounts and sales that are only available to members. To get started, just head to the Jos. A. Bank website, and scroll to the bottom of the page, where you see the text that reads “SIGN UP FOR OUR MAILING LIST.” Enter your email address, and then press “SIGN UP” to complete the process. Now, you’ll be eligible for coupons, and you’ll also get news, announcements, and information about new product releases from Jos. A. Bank.